Sunrise this morning at Grand Canyon National Park was on fire! It was as if there were 100 birthday candles burning brightly in the sky in celebration of Grand Canyon National Park turning 100 today. 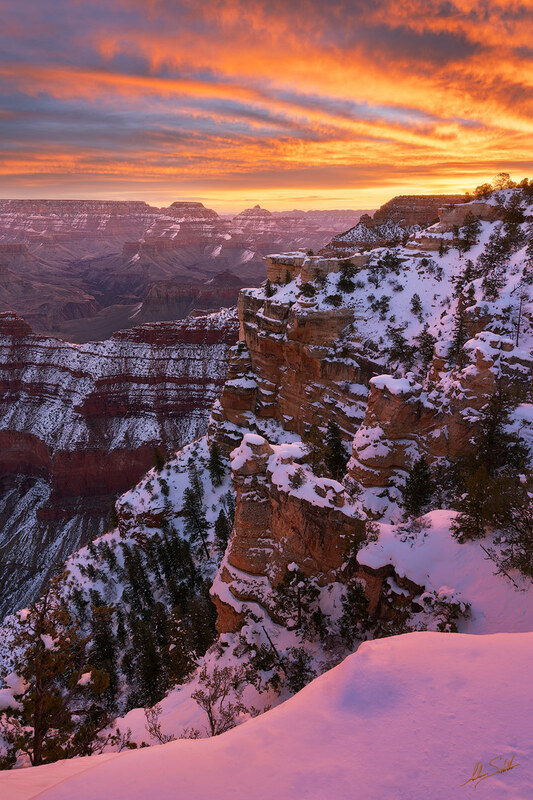 President Woodrow Wilson signed the proclamation creating Grand Canyon National Park on February 26, 1919. Happy Birthday!